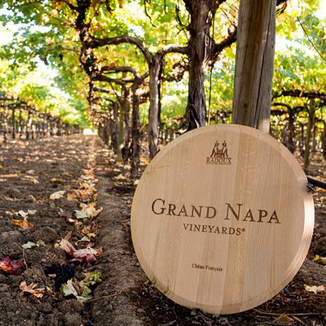 Grand Napa dazzles us again and again, with their brilliant wine. It is their Heir Apparent wines that our Agents seem to love the most, and our special relationship with the winery guarantees that we’ll always have the best pricing on their wines. 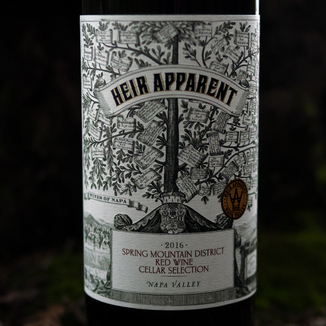 We highly recommend today’s 2016 “Heir Apparent” Cellar Selection Red Wine. The meniscus (the surface tension of the wine at the edge of the glass) is tinged purple, while the rest of the wine is a nice crisp red. 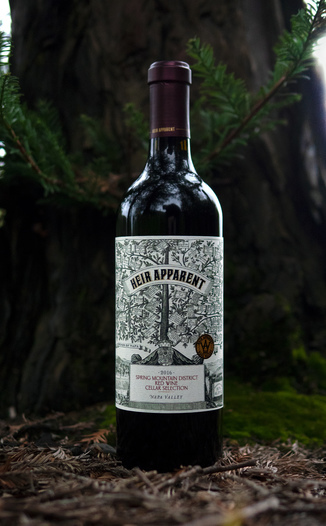 The nose is bright and aromatic with ripe red fruit leaping out of the glass, with notes of plum, blackberry, and raspberry leading the charge. Breathe deeply: There’s a gorgeous floral note of violets as well. 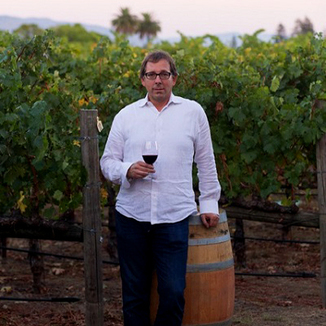 On the palate, there are all the hallmarks of a great Napa blend such as cherry compote, fig, leather, and tobacco. But there’s a charcoal/graphite-like note that adds a lot of depth. This wine is deeply engaging with tannin that grips the center of the tongue and the roof of the mouth, while the acidity is most pronounced along the side, accumulating in a long finish. For the pairing, treat yourself to a gourmet hamburger with premium beef and farmer’s market fixings. Thank us later. Spring Mountain’s predominant grape variety is Cabernet Sauvignon, with Merlot being a distant second. In addition, Spring Mountain is home to smaller plantings of Cabernet Franc, Petit Verdot, and Malbec, with a few minor sites that favor and support small plantings of Zinfandel, Syrah, and Petite Sirah. On the coolest Spring Mountain sites, a tiny amount of Pinot Noir also grows. Tinged purple at the edge, while the rest of the wine is a nice crisp red. Bright and aromatic. Ripe red fruit, plum, blackberry, raspberry, and violets. Cherry compote, fig, leather, tobacco, and charcoal/graphite. Deeply engaging with grippy tannin, and soft acidity, accumulating in a long finish. Gourmet hamburger with premium beef and farmer’s market fixings. Thank us later.